The hike to Charlies Bunion is a somewhat strenuous climb along the Appalachian Trail, but the views from the rocky summit are truly staggering. 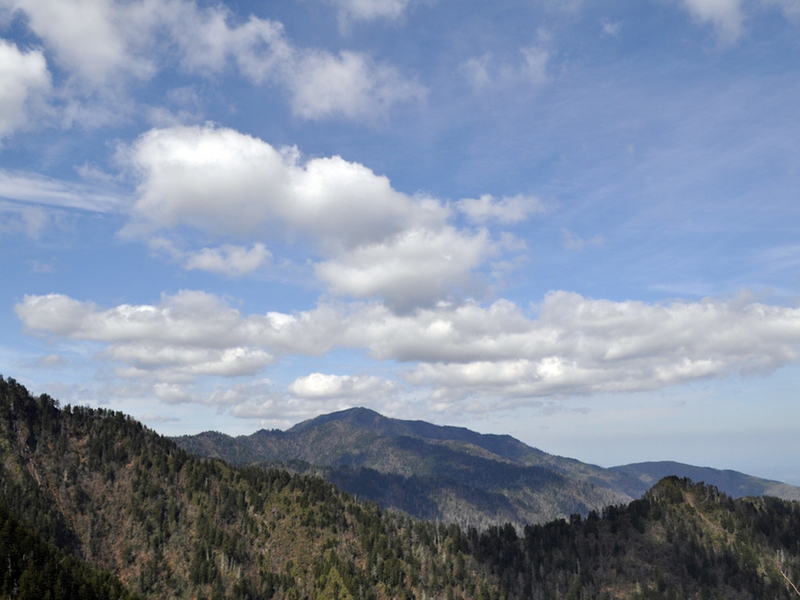 There are a handful of hikes in the Smokies that exemplify what a National Park hike should be. The 8 mile roundtrip hike to Charlie's Bunion is one of these. On the surface, it's pretty straightforward: 4 miles up, and 4 miles back down. That doesn't quite tell the whole story, though. As you climb along the narrow ridge line, you'll be traversing one of the rockiest, spiniest strips of trail in the Smokies; and to be frank, it's really cool! In good weather, you'll have expansive views throughout the whole hike, and once you think the scenery can't possibly get any better, then you reach Charlie's Bunion- a rocky outcropping that looks out over some of the best features in the park. The entire hike is fantastic, featuring one of the best sections of the Appalachian Trail available in the Smokies. Ridgeline views often open up along this hike, giving hikers expansive views of the high Smokies. This is absolutely a bring-your-camera trail! Once you have walked for several miles, the Boulevard Trail intersects (you will continue straight) and can be taken left towards the Jump Off. As for the technical details of this hike, it's pretty easy to get the gist of. You start at Newfound Gap and hop on the Appalachian Trail, and then you stay on the Appalachian Trail for four miles until you reach a short spur trail that takes you to the Bunion. There's a really wonderful piped spring where you can fill up your water bottles just past the aptly named Icewater Spring Shelter. After taking in the views to your heart's desire, either head back down to Newfound Gap or spend the night at the shelter. Anyone! Hikers, trail runners, backpackers, and photographers will all love this trail for its mountainside views and gorgeous finale. The hike does climb quite a bit (over 1,600 feet over 4 miles) but the incline is steady enough to permit any determined hiker to stand atop Charlies Bunion. The parking lot for this trail is at Newfound Gap, with the trailhead at the edge of the lot. To backpack here, you must get a backcountry permit for a site at a Visitor Center.